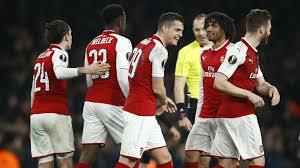 Arsenal are host Leicester City at Emirates Stadium in Premier League,on Monday 22nd October. 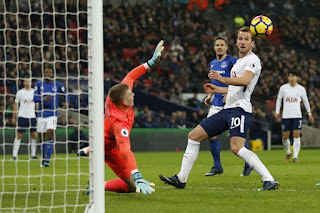 Today Arsenal are aiming to maintain their strong run of home form against Leicester City, and chasing their 10th successive victory ,meanwhile, Leicester City are seeking to get back on track after a defeat to Everton before the international break.However, Leicester have made their best start to a Premier League season since winning the title in 2016, taking 12 points in their opening eight games. Pierre-Emerick Aubameyang is set to be available for Arsenal despite missing an Africa Cup of Nations qualifier for Gabon during the international break. Mentioned,Arsenal have never lost a Premier League home match against Leicester City and have won the last 11 in a row. ARSENAL XI: Martínez, Lichtsteiner, Kolasinac, Papastathopoulos, Guendouzi, Elneny, Smith Rowe, Mkhitaryan, Iwobi, Welbeck . 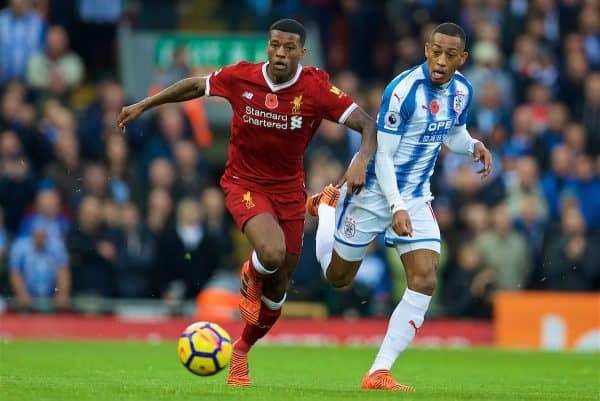 Huddersfield welcomes Liverpool, at the John Smith's Stadiumin Premier League on Saturday 20th October . Huddersfield will have a stern test against a Liverpool side who has made a blistering start to the Premier League season. Huddersfield Town XI: Lossl, Jorgensen, Schindler, Lowe, Hadergjonaj, Mooy, Hogg, Billing, Durm, Pritchard, Depoitre. Striker Terence Kongolo is a long-term absentee with a thigh injury,and Egyptian midfielder Ramadan Sobhi should be available following the international break. Liverpool XI: Alisson, Gomez, Lovren, van Dijk, Robertson, Lallana, Henderson, Milner, Salah, Sturridge, Shaqiri. West Ham welcomes Tottenham, at London Stadium , London, England in Premier League - England, in a high-profile London derby. Tottenham will aim to claimed a fourth successive Premier League win. Today match will be the 210th meeting between the two London rivals with the Hammers coming out on top 63 times. Spurs have won nine of their last 12 Premier League away games (D1 L2), including five of their six on the road this season. Robert Snodgrass is expected to be available despite withdrawing from the Scotland squad with an injury at the end of last week. Manchester United start their 2018-19 campaign in July with the US tour where they play five friendly games as part of 2018 International Champions Cup. 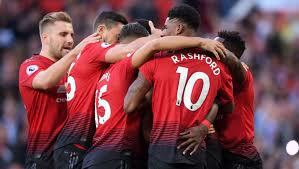 United’s league campaign begins on the weekend of 11-12 August 2018 and their opening game is against Leicester City followed by matches against Brighton and Tottenham in August. United Champions League campaign begins in the second week of September 2018. Chelsea face Videoton in the Europa Champions League fixture at Stamford Bridge on Thursday 4 October night. Chelsea are looking for their second Europa League win following a 1-1 draw against Liverpool in the Premier League last weekend. 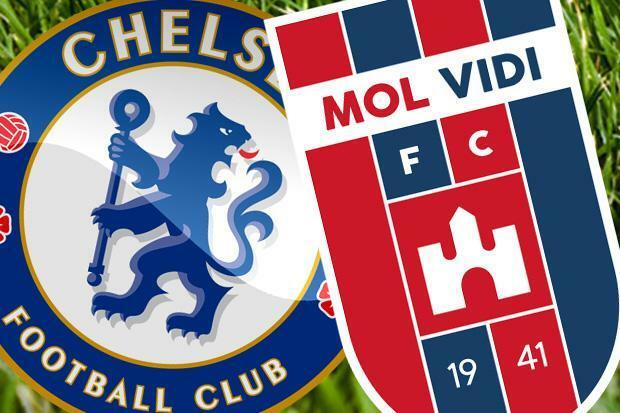 Chelsea play following a 1-1 draw against Liverpool in the Premier League last weekend,while Videoton head to the game following a 1-0 victory against Diosgyor in their domestic league on Sunday. Tonight’s clash will mark the first time that these two sides will meet in a competitive action. Liverpool vs Southampton LIVE: Premier League Liverpool are riding high as they seek to keep their perfect 2018-19 record going this afternoon as Southampton head to Merseyside. Jurgen Klopp's Reds won their opening five games of the Premier League season before beating PSG in a Champions League thriller at Anfield in midweek to keep their winning streak going. And next up for Liverpool are Mark Hughes' Southampton, who sit 13th in the table and have to pull themselves together after letting a two-goal lead slip into a 2-2 home draw against Brighton. Manchester United vs Young Boys in Champions League 2018/19 - Group H at Stade de Suisse in Switzerland,on Wednesday 19th September. The Red Devils Champions League journey begins night ,as they face a winnable opener in Switzerland as they will look to kick-off Group H with victory ahead of tougher challenges against Valencia and Juventus . This will be the first ever meeting between BSC Young Boys and Manchester United in any competition,while is Manchester United's 22nd Champions League participation . This is United's 22nd Champions League participation, the most for an English side and the joint-fourth most after Real Madrid, Barcelona and Porto. Today Manchester United will be without captain Antonio Valencia,Manager Jose Mourinho confirmed the right-back will not be involved due to concerns over how he would react to the artificial surface at the Stade de Suisse. 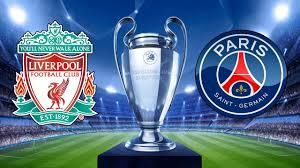 The Reds host Paris Saint-Germain to open up the UEFA Champions League, Group Stage ,at Anfield on Tuesday Sep 18, 2018. 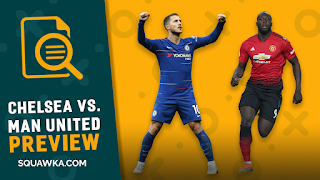 Today match is one of the most highly-anticipated matches of the group stage, with the first-place team in the Premier League taking on the top dog of Ligue 1. Time: 3 p.m. ET,10:00 PM AST. In the opening Champions League clash,Two of the world’s best attacking trios will face off at Anfield. Both teams are so strong, but the feeling is that PSG is more talented and a bit better. But the Reds have improved big time at the back. Mentioned that,the two clubs have only played each other twice before this and both matches took place during the1996-97 UEFA Cup Winners’ Cup semi-finals with PSG going through to the final on aggregate after beating Liverpool 3 – 0 at home at the Parc des Princes and losing 2 – 0 away at Anfield in the second leg. Liverpool XI: Alisson, Alexander-Arnold, Gomez, Van Dijk, Robertson, Henderson, Wijnaldum, Milner, Salah, Mane, Sturridge. PSG XI: Areola, Silva, Kimpembe, Meunier, Bernat, Marquinhos, Di Maria, Rabiot, Mbappe, Cavani, Neymar. 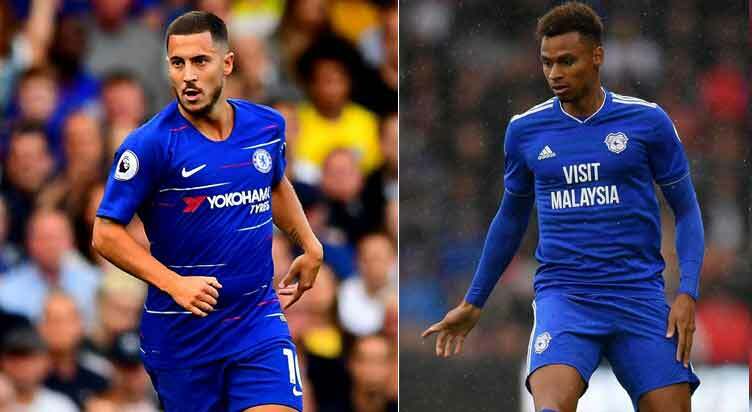 Chelsea are yet to drop a Premier League point this season as they welcome Cardiff City to Stamford Bridge this afternoon. Maurizio Sarri has enjoyed a perfect start to life in west London, with Chelsea collecting four wins from four to spark hopes of a potential title challenge. Neil Warnock faces a tall order keeping Cardiff up, but Chelsea can expect a tight game: the Bluebirds have struggled to score, but have been fairly tight at the back in their opening four matches. 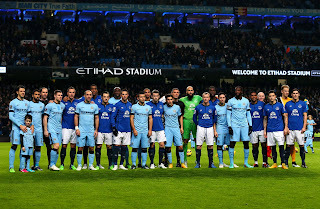 Manchester City resume their Premier League campaign against Fulham at the Etihad Stadium. Pep Guardiola’s side are predictably the league’s top scorers four matches into the new season but a draw at Wolves has denied them a perfect start, with Chelsea, Liverpool and Watford the only sides in the top flight on maximum points. Fulham looked to be closing in on a second consecutive win prior to the international break away to Brighton but threw away a two-goal lead after Aleksandar Mitrovic netted his fourth of the season. Two Premier League title hopefuls face off today as Mauricio Pochettino's Tottenham host Liverpool. Spurs are unable to welcome Liverpool to their new ground due to construction delays, so the two sides head to the national stadium in west London as they both bid to lay down an early marker in the battle to depose champions Manchester City. The match will be shown live on Sky Sports' Premier League and Main Event channels, and is available via Now TV with a day pass on offer for £7.99. 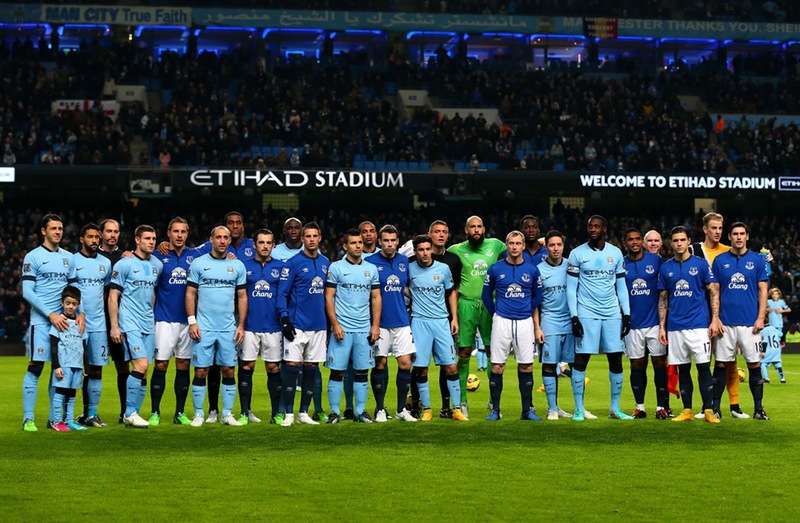 Sky Sports subscribers can stream the match online via SkyGo and the SkyGo app. Today The Red Devils will need to regain confidence following an abysmal 3-0 home loss to Tottenham and a 3-2 loss to Brighton to leave them languishing in 13th place in the table. 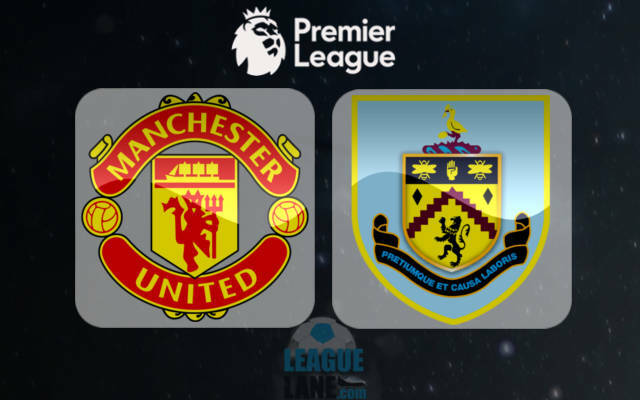 Jose Mourinho is already under serious pressure as he takes his wounded Manchester United side to face Burnley at Turf Moor this afternoon . Burnley XI: Hart; Bardsley, Tarkowski, Mee(C), Taylor; Lennon, Westwood, Cork, McNeil; Hendrick; Wood. Man United XI: De Gea; Valencia(C), Smalling, Lindelöf, Shaw; Fellaini, Matic, Pogba; Lingard, Lukaku, Sanchez. Cardiff City welcomes Arsenal in Premier League 2018-19 at the Cardiff City Stadium,on sunday,2nd september. 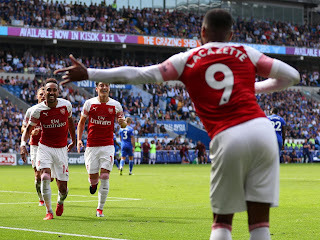 Arsenal will be looking for a second Premier League win on the bounce, and will seek improve their miserable record away from home,Cardiff, meanwhile, are still looking for a first win of the season, having drawn two and lost one. Arsenal today will be looking for improve their miserable record away from home and make a second Premier League win on the bounce. Cardiff meanwhile are the only team in the league still to score a goal this term having drawn a blank against Bournemouth, Newcastle and Huddersfield. Man City vs Newcastle LIVE:live stream& preview Manchester City are in the rare position of playing catch-up as Pep Guardiola's champions entertain Rafa Benitez's Newcastle today. City won their opening two games of the season, but Wolves earned a spirited draw last weekend to leave the title holders two points off the pace heading into the weekend's action. The Magpies have secured just one point from their first three matches, but Benitez will relish the chance of trying to outwit Guardiola on his home turf. Follow all the action with Standard Sport at the Etihad!